Colchester’s Prested Hall is one of the most special wedding venues in Essex, offering exclusive use of the whole manor house and 14 bedrooms. Prested has a large well-equipped health club, an Elemis spa, sports massage and holistic treatment rooms. Prested is just off Junction 24 of The A12, near Kelvedon and Feering. Three of Prested’s handsome reception rooms and the gazebo outside are licensed for civil ceremonies, so you can choose where you want your ceremony, wedding breakfast and evening entertainment, and you can dress the house in your own way. Summer weddings include the use of a traditional marquee on the lawn. 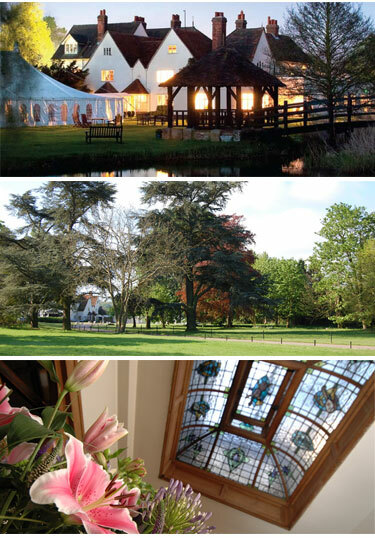 Prested weddings are relaxed, intimate weddings, where you can feel ‘at home’ for your big day, evening and overnight. Extensive (about 75 acres) grounds. Around The Hall the lawns are manicured and perfect for a leisurely stroll. The water behind The Hall is part of an old moat and is enjoyed by a variety of water birds. 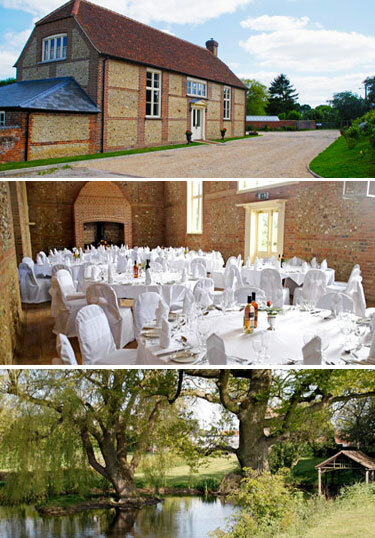 The Perfect Wedding Venue in Essex. Located south of Sudbury in the beautiful English countryside is the ideally situated Greenstead Barn. This recently converted barn stands in the grounds of Greenstead Hall, an exclusive and wonderful setting for your perfect Wedding Day. The barn has a wonderful fireplace and woodburner, an inbuilt music system, a well equipped kitchen, bar and also ample parking for guests. The barn also offers lovely light and spacious feel and has an outside terrace area allowing guests to enjoy the surroundings. In the grounds of the barn there is a Elegant Marquee seating up to 250 guests and offers you a blank canvas in which to add your own style to your special day, along with the marquee the boating lake offers a perfect setting for all those treasured photographs. The bride and bridesmaids also have a separate room near the barn to prepare themselves for the big day. We have recommended suppliers who can help you with all your requirements for the day and we are of course available to help you in any way to ensure that the most important day of your life goes perfectly. By Appointment only. A Georgian manor house originally built in 1545 and remodelled in the 18th century. Located just 8 miles from Braintree and close to the M11. The Marquis of Buckingham’s former ballroom provides an exquisite setting for the reception meal for up to 116 guests. To find out more visit The Gosfield Hall website. Medieval Castle with a Norman keep. Situated in the village of Castle Hedingham, half a mile from the A1017 between Cambridge and Colchester. You can have a traditional modern ceremony or choose a medieval theme with authentic costumes and strolling minstrels. To find out more visit The Hedingham Castle wedding website. A 16th Century Tudor Mansion set in 40 acres of beautiful parkland. A few minutes drive from Chelmsford in Essex, and 15 minutes from the M11. Leez Priory was the first country house to be licensed in England to conduct civil marriage ceremonies.To find out more visit The Leez Priory website.